If you’ve got a brood consisting of five or more, you might be interested in this list of crossovers for growing families. Let’s face it. There comes a time when a sedan just won’t do, you’re not ready for a full-size sport utility, and a minivan isn’t in your world-view. Crossovers provide the perfect solution. 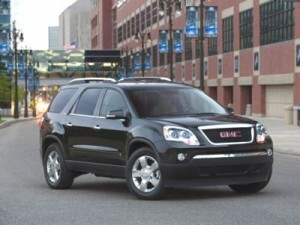 GMC Acadia, and $35,615 for Buick Enclave. Reviewers say the 2011 Mazda CX-9 is something of an anomaly. It’s a seven-seat, three-row crossover that’s actually fun to drive. While that may be a subjective opinion, there’s no getting around the facts. It’s a midsize crossover that’s big on performance (plenty of zoom-zoom character) and is among the newest in family-size crossovers. Great cargo capacity (maximum of 100.7 cubic feet), well-appointed interior, starting MSRP of $29,135 and EPA-estimated fuel economy of 17 mpg city/24 mpg highway are other standout selling points. Now that Kia ditched the Sorento’s previous truck-based platform, the 2011 Kia Sorento is one of the most powerful and comfortable-riding midsize crossovers available. Starting MSRP is just $19,615 – and for that, you get lots of standard features, including seating for up to seven. Of course, the standard engine is a four-cylinder, and the highest trim will set you back $29,095 to start, but Sorento offers class-leading warranty coverage, EPA-estimated fuel economy of 21 mpg city/29 mpg highway (in the base model), and there’s available all-wheel drive. 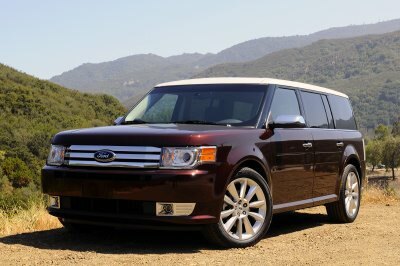 The uniquely-styled 2011 Ford Flex won’t appeal to everyone, but it has its fans among growing families. The seven-passenger Flex is like an over-sized wagon with a twist. Powerful engine options, spacious third row, and high-tech features solidify Flex’s appeal for some families. 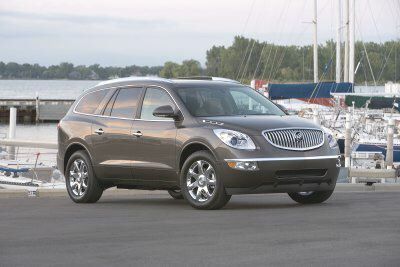 Starting MSRP is $29,075 and fuel economy is EPA-estimated at 17 mpg city/24 mpg highway (front-wheel drive base engine). Refreshed for 2011, the Ford Edge is another midsize crossover that accommodates five passengers. So, not big enough to fit larger families, but a good choice for some growing families. The interior, say reviewers, is exceptionally roomy and very family-friendly. Maximum cargo space is 68.9 cubic feet with the second row folded down (there’s no third row). Starting MSRP is $27,220 for the front-wheel drive Edge SE (all-wheel drive is available). EPA-estimated fuel economy is 19 mpg city/27 mpg highway (SEL and Limited models). If you’re in the market for crossovers for growing families, give these seven a closer look. Better yet, take a test-drive with the family. You’re sure to find one that suits your needs.